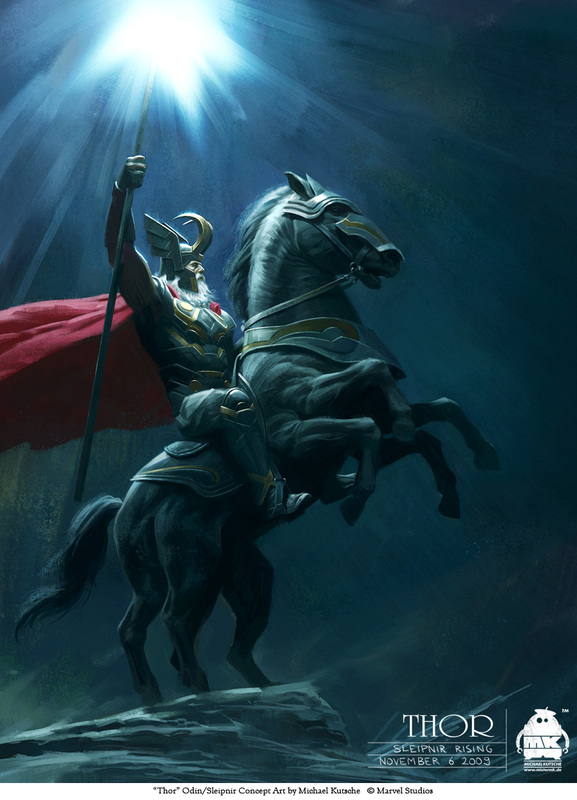 Concept art for "Thor": Odin on Sleipnir, his eight legged horse. Simply Awesome! Incredible work. Brush work is seamless and the film was really fun and entertaining. Congrats! Kei: That means a lot, you know I love your work!